Tim Coady, Color Guard Director, was born and raised in the St. Louis area. While living in Missouri, Tim performed with the Colts Drum and Bugle Corps and the Pride of Missouri State winter guard. After moving to Ohio, Tim broadened his horizons at Zydeco Colorguard, where he was honored with being the 2014 Member of the Year, and the Bluecoats Drum and Bugle Corps, where he served as colorguard captain for the 2011 and 2012 seasons. Tim has a passion for inspiring students through colorguard, and has worked with programs across the United States. 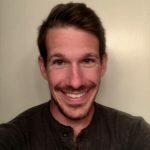 He has been involved with instructing other awarded programs such as Centerville HS, La Salle High School, Colts Drum and Bugle Corps, Miami University, and Juxtaposition Winter Guard. Tim currently resides in Cincinnati, Ohio, serving as a colorguard educator in the Miami Valley. 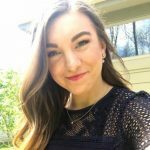 Shelby Adkins, Color Guard Director, began her color guard career at Centerville High School with the Centerville Jazz Band (Marching Band) and the Centerville World Winter Guard. Prior to joining color guard, she trained in ballet, pointe, modern, and jazz at BalletMet Columbus, and then as a member of the Dayton Ballet Pre-Professional Company. 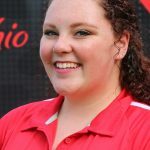 Shelby continued her passion for performance after high school by performing with The Cadets Drum & Bugle Corps (World Champion 2011), Pride of Cincinnati Winter Guard (World Champion 2013), Zydeco World Winter Guard, and the Pride of Cincinnati Dance Ensemble. Additionally, she toured Japan in 2014 with the cast of the Emmy and Tony Award winning show, Blast!, as the female Visual Ensemble Swing. Some of Shelby’s teaching and choreography experience includes Bellbrook High School, Archbishop Alter High School, and Cincinnati Tradition Drum & Bugle Corps. In addition to teaching, Shelby works full-time in supply chain and operations for a Dayton-area manufacturing company.